Back in early March, we examined five questions that the Matildas will need to answer ahead of the next cycle. We look back at how one of those areas is shaping up. When asked the objective for 2017 the answer from Matildas head coach Alen Stajcic was conclusive; building depth and versatility for the next World Cup and Olympic cycle. “It’s about having a squad that can peak in these tournaments,” said Stajcic prior to the 2017 Algarve Cup. "One of the major factors in the squad we’ve selected is building the depth of the team and increasing the competition within the team." So how has that objective been met in 2017? Substantially, yes but not without some room for improvement in 2018. Overall, the Matildas squad of 2017 is a stronger, more even and experienced squad than that of 2016. 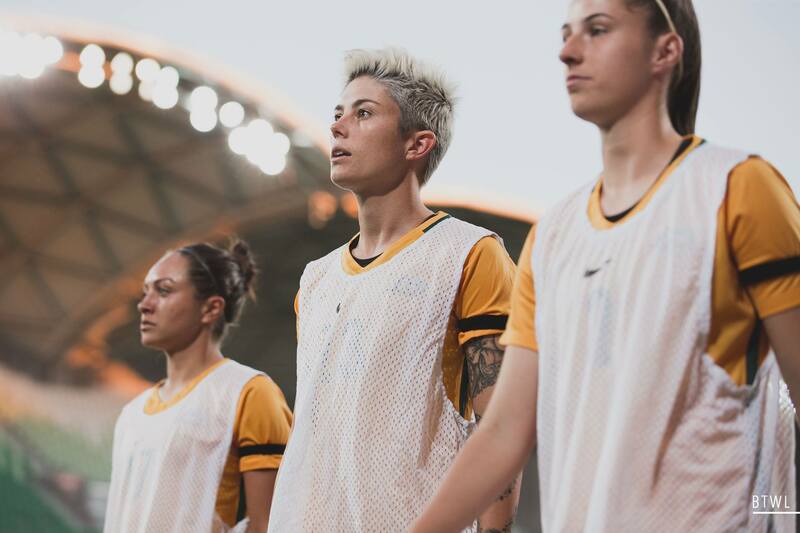 On Wednesday night, when you looked to the Australian bench there were several names that were more familiar on the starting XI graphic; Lydia Williams, Kyah Simon, Elise Kellond-Knight, Laura Alleway, Michelle Heyman, Chloe Logarzo to name a few. A veteran of two World Cups and 2 Asian Cups, Kellond-Knight is one of the most important players for the Matildas. However, the 27 year old watched her teammates comfortably take care of China without her having to kick a ball. "That’s a really big positive going in the next cycle," she said post match. "It’s such an important thing to really have that depth which is what we have probably lacked in the past." "When you get to a tournament if you don’t have that depth you really start to suffer in the final rounds of the tournament." Kellond-Knight's final statement is from personal experience. In the last two major tournaments, Australia has come undone in those final stages and a lack of depth is one of the factors. At the 2015 World Cup, Australia played essentially the same XI throughout the tournament with the back six - Williams, Foord, Alleway, Kennedy, Catley and Kellond-Knight - playing every minute. By the quarter finals, against a much fresher Japan on a hot day in Edmonton, Australia looked out of legs. At the 2016 Rio Olympics, the scenario was a little different. Australia had the ability to rotate the squad in the group stages but in the quarter final, the loss of Steph Catley forced a reshuffle with Kellond-Knight moving to left back and Emily van Egmond in the 6 position. They were moves that made sense but Australia lost a little something and it was just enough that they were unable to find a winner as the game went to penalties. On Wednesday night, the Rio scenario played out again but this time Australia was comfortably able to cover. Caitlin Foord dropped into left back (after a first half in attack) and Van Egmond played an assured full game performance as the deep lying midfielder - Kellond-Knight's role. "Emily van Egmond is improving in that role," said Stajcic. "She hasn’t really played a 6 for the Matildas in previous years but this year she’s done it 6 or 7 times and I think she has improved with every game." "Certainly the defensive part of the game wasn’t her strongest suit possibly 12 months ago but we saw how many tackles she did against China and I think Emily was a really big factor in denying them opportunities to get on the ball." Foord, Australia's Swiss Army knife, moved into left back without Australia missing a beat. Also available in that position is Gema Simon who has spent the W-League off-season playing in Norway. Playing abroad has seen Gema Simon develop into a viable alternative as a back up in that position. Centre back was also a question mark at the beginning of the year. Australia has tried a variety of combinations including Catley partnering Kennedy, Caitlin Cooper, Laura Alleway and Clare Polkinghorne. Polkinghorne has not had as many minutes in that position lately but on Wednesday night, in her 98th appearance for Australia, the Brisbane Roar captain reminded everyone why she is such an asset to the Australian team. Polkinghorne put in an assured performance, locking down the dangerous Wang Shanshan - a player that thrives in the space between the centre back pairings. She looked quick and composed on the ball. A credit to the attitude and work ethic of a player who has had rationed game time with the national team in recent years. Earning your game time is a by-product of the increased competition in the squad says Emily van Egmond. "It’s one thing that Staj wanted to create more depth and he has and it makes for a better training environment when you come to a national team setup," she explained. "No-one is safe and that’s what you want. At the end of the day you want a highly competitive environment and we have that and that’s also partly why we’re having success at the moment." That is the new cutthroat environment. It is the type of environment that is prevalent in the world's best teams like USA, Germany, France and England. Nowhere is the competition more fierce than in the forward positions. Australia has developed one of the deepest attacks in the world. The fact that Hayley Raso, a player who was one of the top goal scorers for NWSL champions Portland Thorns, is testament to this. Kerr, Foord, De Vanna, Heyman, Kyah Simon, Larissa Crummer and Amy Harrison were all fighting for just three forward positions and that is not to forget Emily Gielnik who was unavailable due to a Cup final in Norway. 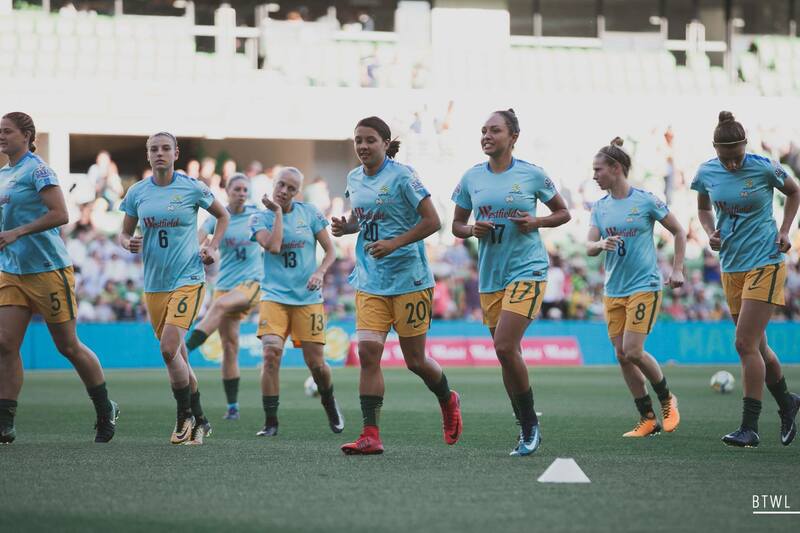 "I guess it’s a bit biased if I say yes because I’m in it but I think that it’s the strongest and we have the most depth that I’ve ever seen on the Matildas," said Sam Kerr. "We have so many players right now at the best time of their careers. Going forward we have so many 93s 94s [born players]." "I personally think so but I think the older girls who have retired would have a bit to say about that." All of this is good news for the upcoming years for Australia as the true challenges come forth. "I guess now looking ahead it’s exciting," said Kellond-Knight. "We can approach a game and have a fantastic experience sitting on the bench." "That has been the focus of the last 6 months/12 months to really build that depth and the potential to move people around and have so many variables." "We don’t just have a starting XI anymore. There are so many options that Staj can play with which is a really important thing." So where is the room for improvement? As mentioned above, the depth project is not finished yet. The squad is not locked in with a number of players having the opportunity to still make a case during the W-League season. And so it should be. Players coming into form and out of form. There should be no player that has a lock on squad positions - even Sam Kerr. Performance should be the only arbiter of positions and minutes. Stajcic has been pretty good at rewarding players in form with goalkeeper Eliza Campbell an example on Wednesday night. Other examples have been Raso, Gielnik and Logarzo - all players who played themselves into Matildas contention. Not every one will be happy about selections - this is football after all. The test is now whether Australia can find more players to challenge the current 23. To get that talent pool to 30, 40 and 50. To really have the bottom pushing the top half to continue to rise. That falls to the W-League. Again that is what the best nations do and if Australia wants to be in that conversation, we have to be doing the same.